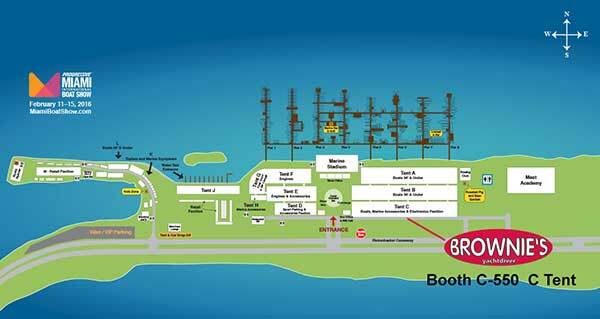 Brownie's YachtDiver was at the Miami International Boat February 15-19, 2018, Miami Marine Stadium Park & Basin, 3501 Rickenbacker Causeway. 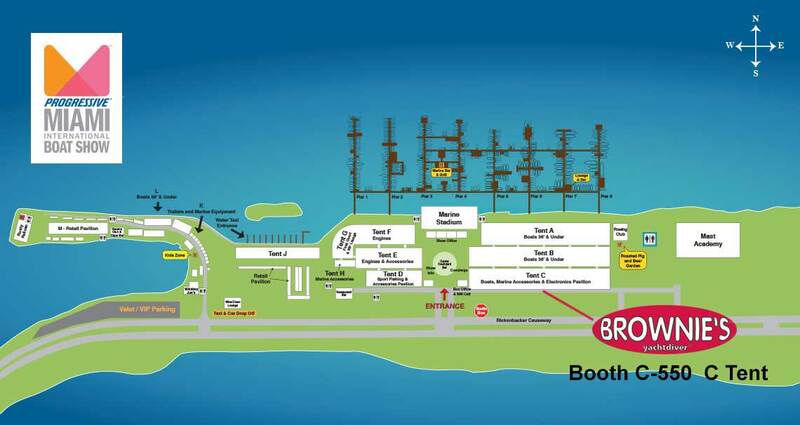 Brownie's YachtDiver enjoyed seeing you at our Boat Show booth C-396 in C Tent right off the main entrance for the Show. 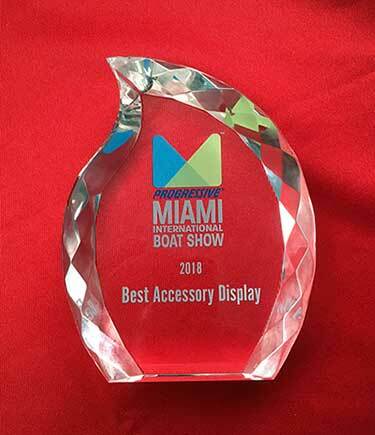 Brownie's YachtDiver won the prestigous "Best Accessory Display" award for 2018 at the Miami Boat Show. Congrats to Dave Carmichael and the YachtDiver Crew! 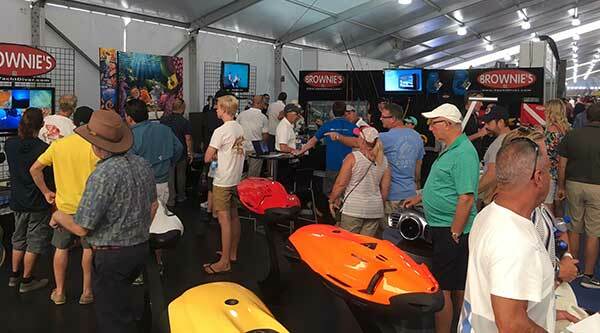 This year in addition to the Brownie's Third Lung and quality dive gear, Brownie's YachtDiver will have Yamaha Seascooters, LW Compressors, Seabob Scooters, Freestyle Water Slides, Deep Trecker R.O.V. and Pau Hana Stand Up Paddleboards. 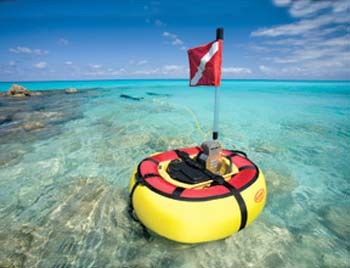 Brownie's YachtDiver is pleased to present a new product, Yamaha Seascooters. These quality made dive scooters offer long lasting battery life and rugged construction. 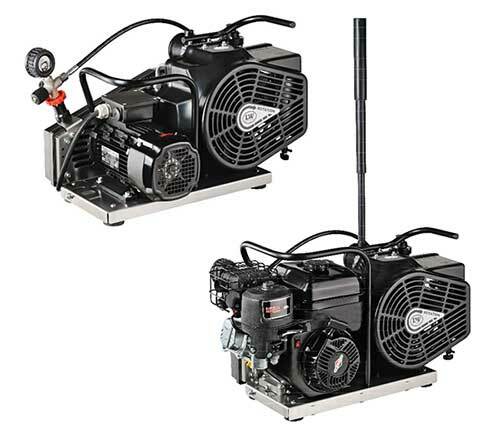 New to North America, but in use for over 20 years, L&W Compressors will be at the Miami Boat Show for the first time. Staff will be on hand to answer all your questions. More on the L&W Compressors page. Another new water toy being introduced at the 2018 Maimi Boat Show is the Lillipad Diving Board. 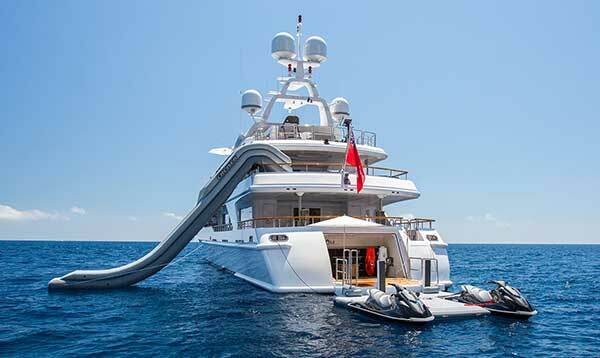 These high level manufacture, easy to assemble and stow diving boards add lots of fun to any boat, yacht or dock. See them at the Show! 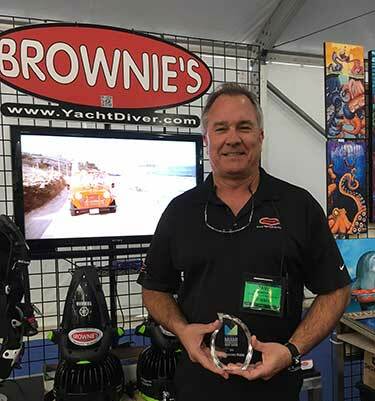 Brownie's Yacht Diver will have Boat Show specials on Brownies Third Lungs, Scuba Pro and Halcyon dive gear and dive scooters.